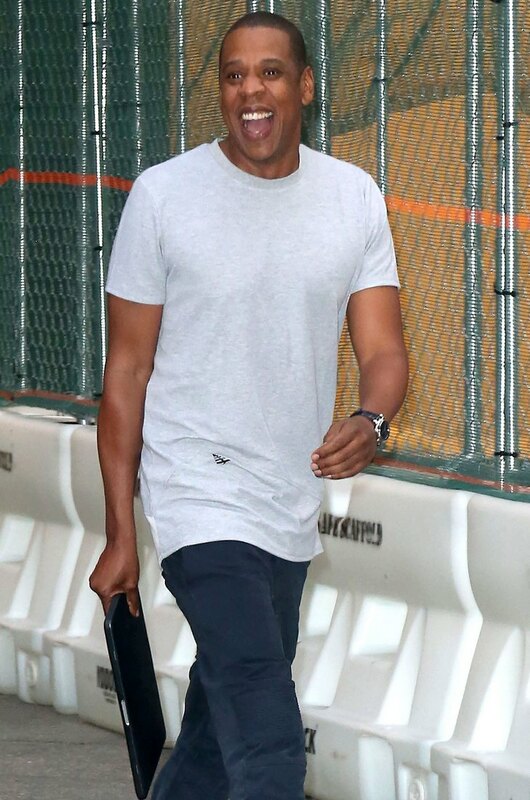 Is Jay-Z the new host of Celebrity Apprentice? Donald Trump and NBC have officially parted ways, and the presidential hopeful and business tycoon will definitely not be hosting the next season of Celebrity Apprentice. That means NBC is on the hunt for a celebrity and business tycoon to replace the controversial host, and rumor has it that they want to put a minority on the show. Word on the internet is that rapper Jay-Z is at the top of NBC’s list for prospective Celebrity Apprentice hosts. Although, it is ironic timing considering Jay-Z’s latest business venture – Tidal, has turned out to be a tremendous flop and has reportedly lost the rapper millions of dollars. Regardless, NBC seems to think that Jay-Z would make the perfect Celebrity Apprentice host, and are definitely banking on him bringing in his own fan base because the last few season’s ratings have been on a steady decline. Will NBC be able to convince the rapper to sign on to Celebrity Apprentice and replace Donald Trump though? Over the years Jay-Z and his wife Beyonce have made it very clear that they will not slum it with reality TV stars. And, last time we checked Celebrity Apprentice is usually classified under the reality TV category. Although, I guess Jay-Z and Bey could argue that it is technically for charity. And, let’s be real for a moment Jay and Bey could definitely use some good press after the Tidal disaster, her diet scam, and his latest love child scandal. Would you tune in to Celebrity Apprentice if Jay-Z was the host? Or would you actually stop watching the show if Jay-Z was hosting? Let us know what you think in the comments below!